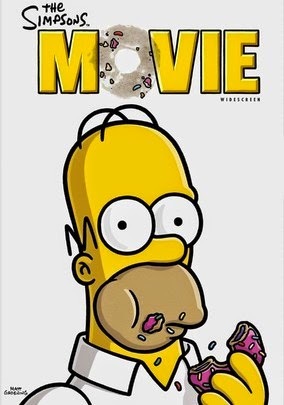 Many fans of The Simpsons Movie were very critical of it. While I understand why, the fact is that many of them just don't realize that this film wasn't made for them. Criticism range from the film not being edgy enough, to the fact that the film didn't take place in Springfield and didn't utilize the side characters much, but again, the film wasn't meant for the die hard Simpsons fan. While the show has been on for more than a quarter century, prior to the films release, ratings for the show were in the toilet, and it was only being kept alive by syndication and merchandising money. The point of the film was to be childish and geared towards a younger audience. While fans of the show were expecting the film to be extreme like the South Park movie, what they got amounted to little more than a children's movie. The fans were upset, but the studios gamble paid off, as the ratings went up and have continued to be much better. For those who didn't see it, the film focuses on Homer, who made the mistake of polluting the town, to a point where the EPA put a big dome over Springfield to separate it from the rest of the country. As angry town folks form a mob, intent on getting Homer, the family escapes and goes on the run. The film is far from being the best the Simpsons has to offer, but it served it's purpose in attracting younger viewers and raising the ratings. Fans may have been upset with Matt Groening, but what he did saved the show for who knows how many future seasons. The film isn't spectacular, but it was good for introducing new fans to the characters we all know and love.